February 26, 2018 – The Space Foundation invites children, ages 8-11 to spend Spring Break at the Discovery Center, with hands-on, immersive activities and experiences, based on space, science, technology, engineering, art and mathematics (STEAM) during this Explore Space Spring Break Experience. 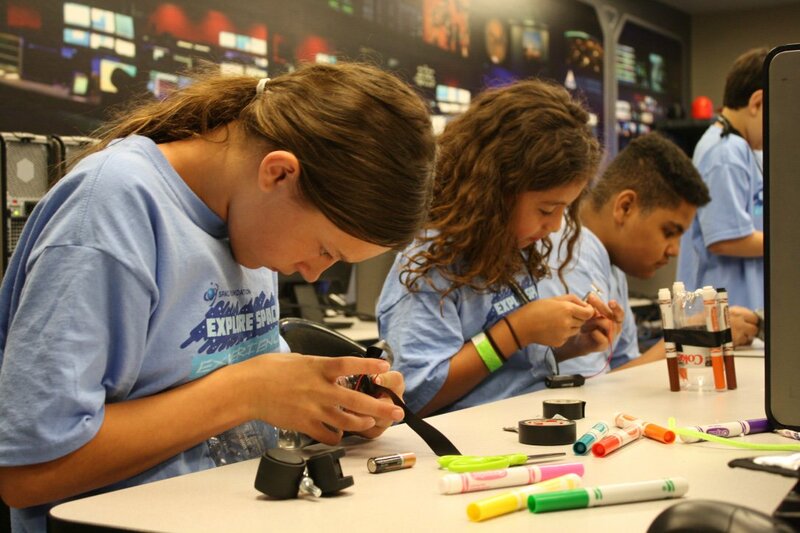 The four-day Spring Break Experience will help children explore different space-themed activities from driving robots on “Mars,” to piloting underwater drones in the oceans of Jupiter’s moon, Europa. They will also engage in themed art activities, design challenges and create astronaut tools using 3D printers. Explore Space Spring Break will be offered Monday, March 26 – Thursday, March 29, 2018, at the Space Foundation Discovery Center in Colorado Springs. This daytime experience begins at 9:00 a.m. each day and concludes at 4:00 p.m. Advance registration is required for all participants, and is $295 per child for the four days. Required paperwork and Parent Guide can be found here.